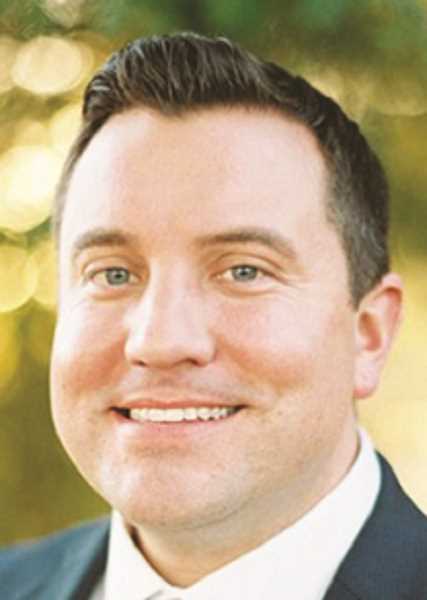 Matt Murray tendered his resignation from the Newberg City Council, effective July 2, citing family and professional considerations. Murray was appointed to the council in August 2017 to serve District 1. He recently accepted a job promotion that will require a move to New York. "It was an honor to serve my community and it was a great learning experience understanding how a municipal government functions …," he said. Murray's approach while on council, he said, was to look at issues from every angle and prod city staff and others knowledgeable on issues for information before making a decision. In his 11 months in office he gained experience and insight into what it takes to be a councilor and how government operates. "(The city) is turning in the right direction and, coming from having no experience, it was an interesting experience learning how things get done and what the procedures are and figuring out who all the players are and who does what," he said. "My personal opinion is that I think we have the right city manager. I think that Joe (Hannan) really cares about the community and he's really good out in the community and there is stuff that he is going to work on internally in City Hall." Murry provided advice for the next councilor who will represent District 1, along with encouragement for people to become involved. "My advice for the next person is to never have your mind made up," he said. "That is a thing that I learned from being on council is that you can do the reading and think, 'Oh well, this is how I feel about it.' Then especially if it is a public hearing, you come in and you listen to people testify and you go, 'You know, I didn't even think about that.' You can turn a whole 180 (degrees) in one meeting. Being open minded, doing the reading and being fair (is important)." He added that the job of a city councilor, an unpaid position in city government, requires a big commitment. "(I) dedicate 10 hours a week on reading, sending emails to constituents, reading emails from staff phone calls and coffee dates -- 10 hours minimum," Murray said. "The (agenda) can be anywhere from 100 pages to 800 pages, depending on what you're looking at. When you throw in a wastewater master plan in there, it is going to be a heavy read." From the councilors' viewpoint when someone comes to the meetings and gives a five-minute talk about a specific issue, it helps the council understand what the public wants and what are their needs and concerns. "Involvement from the community will help show the community cares and they are involved," Murray said. "If you care about community and you want to be involved and you want to say something, I would say don't be afraid to come in and testify. Don't be afraid to come in and listen or speak your mind or have some ideas. Testifying is kind of an interesting word as it is more public speaking in a public forum. When you think testify, people think court. So I think that it makes it a little scarier than it really is."